At the time of writing this, Mohamed Merah is still in his apartment in Toulouse surrounded by the 160 strong French anti terror corps also known by their acronym: “RAID”. He has been chatting with them on and off for almost 30 hours now. Oh and he sent three of them to hospital with new holes in their skin that needed some serious stitching. One more thing: He lives in a so-called “raised ground floor“ apartment. 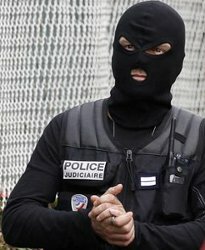 The obvious question is: How is it possible that a single individual with zero hostages, completely alone in the entire housing block, can successfully resist arrest (or death) for that length of time – facing the toughest, top trained and most well equipped anti terror corps France has to offer? If this was the only uncomfortable question raised by Mr. Merah’s recent activity then you could be forgiven for thinking: “Well maybe the RAID guys have ironclad instructions to bring him out alive (they have) and maybe the apartment is very small so they can’t sneak in through the kitchen window while he is busy out-shooting French elite troops from the living room. Or perhaps he has made it clear he will shoot himself if they make a move (he hasn’t – in fact he says he want to go to prison!). You could be forgiven. I wouldn’t but some might. Unfortunately there are other questions regarding the incompetence of the French security systems. Incompetence that cost the lives of at least three school kids and the father to two of them. It quite possibly also cost the lives of two more soldiers and sent a third to hospital with injuries that he will have to cope with for the rest of his life. The facts are that according to the French Interior Minister, Mr. Merah has been “closely watched for several years”. If so, somebody took their eyes off the ball with impeccable bad timing. After two visits to Afghanistan and Pakistan where French security records show he declared his trips to be for tourist reasons and an official membership card to a well known Salafist Jihad group, he manage to procure military grade arms wholesale and kill (execution style) seven people with several more injured – some very severely. All that over the course of eight days between March 11 and 19. On the face of it, barely enough time to kick the security engine into gear and prevent his last act: The killing of three totally innocent children. Not enough time, except that he had direct contact with his first victim (a Master Sergeant) through the internet haggling over the sale of a motorbike and French intelligence services quickly followed that lead and found 167 people who had reacted to Master Sergeant Ibn-Ziaten’s for-sale advertizement. Among them was Mohamed Merah’s mother – or rather the IP address of her PC. This information was available well before the March 19 school killings. In all this a whole list of legitimate questions regarding the performance of French security organizations can (and must) be made. However, there is one question that rise above them all: When a cold blooded execution is linked with the mother of a well known member of a Jihadist group, one who had made two training (oops, strike that: Tourism) trips to the main al Qaeda attraction park and who has been “closely watched” for years; how is it possible that nobody says “maybe it wasn’t a middle-aged Algerian woman haggling over the price of a sports motorbike… Maybe somebody else sat at the keyboard… wonder who that might be…”. It is easy to question the strategy, tactics and performance of the RAID guys since it is in plain view on every news channel hour after hour. And those easy questions should most definitely be asked. But the deadly incompetence of the intelligence services is a lot worse than waiting for Mr. Merah to fall asleep in his apartment. The questions regarding their failure to detect and launch effective prevention measures in time are harder. But they must be asked. Let us just hope that this will not turn into yet another case of French inability to admit error. Let us hope the lives of three innocent kids have not been lost for nothing. Let the responsibilities be determined and the flaws fixed. Imagine a scenario where Mr. Merah weren’t all alone. Imagine our lives depending on the ability of our security forces to simultaneously track, analyze, correlate a whole group of people. A group with a plan versus an intelligence service charged with preventing such plans from being executed. After 32 hours of siege, RAID forces stormed the apartment and killed the terrorist. They also took two more wounded members to hospital. The end result – therefore – is that Mr. Merah wasn’t capture alive. Instead he died with guns blazing … a martyr’s death for those who share his convictions. One more failure added to the list. The postmortem for these events must conclude that major changes are needed to the entire counter terror setup of the country – starting from the top. We owe that much to the slaughtered kids. Meanwhile, the bottom line for France is to rename their counter-terrorist unit to the counter-performance unit. ← Giving birth to democracy – Tunisian baby at risk of being still-born?